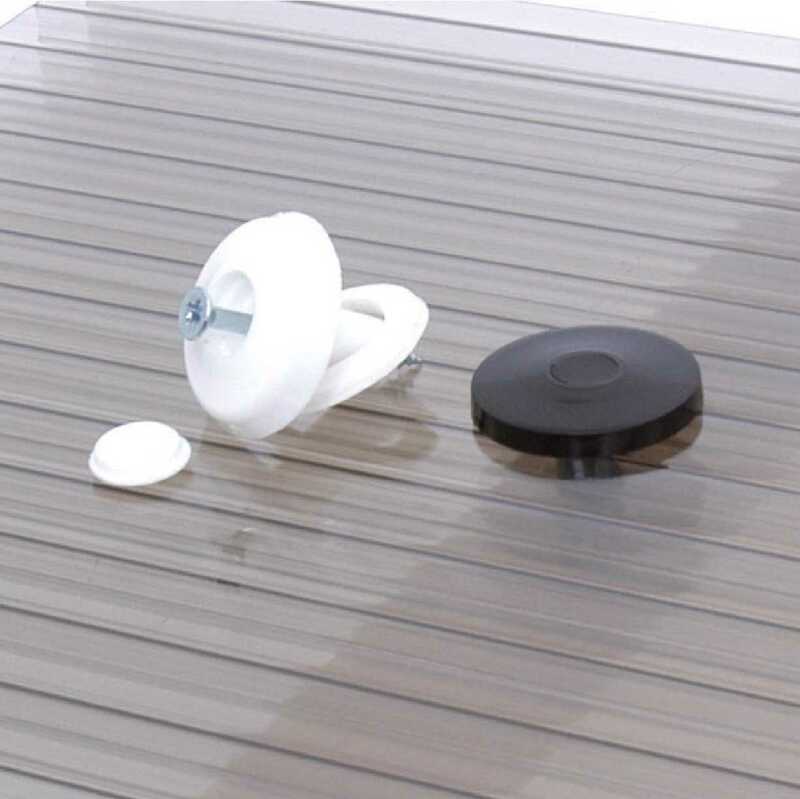 Screw Buttons are used to give additional securing points for polycarbonate sheets on conservatory roofs. This is a particular consideration in areas of high wind loading. They are normally screwed through the polycarbonate sheet into a purlin. The holes for the screw buttons should be oversized by 3mm (ie screw button diameter + 3mm). Do not over tighten the buttons. It is recommended that holes are drilled off the sub-structure (sheets not in their final location). This helps prevent swarf entering the glazing sheet flutes. Screw buttons are specified to suit the particular polycarbonate sheet thickness that they are intended to be used with. Screw Buttons are sold in packs of 10. I would recommend your affordable products (Glazed Roof Components | uPVC Rafter Supported Snapfix Glazing Bars | Screw Buttons for 10mm thick glazing (pack of 10)) to anyone else considering this product, as it has been superb. Omega Build Shop | Glazed Roof Components | uPVC Rafter Supported Snapfix Glazing Bars | Screw Buttons for 10mm thick glazing (pack of 10). You are viewing Glazed Roof Components | uPVC Rafter Supported Snapfix Glazing Bars | Screw Buttons for 10mm thick glazing (pack of 10), buy online today!